Why are we religious? This is one of the most pressing and fascinating questions we can ask, and scientists are hard on the case. Cognitive scientists of religion are working tirelessly to unearth clues to our religiosity that go back tens if not hundreds of thousands of years. The problem is however that when it comes to the origins of religion as we understand it today, they’re looking in the wrong place. The real origin of religion wasn’t 500,000, 50,000, or even 5,000 years ago. The real origins of “religion”—the most cutting edge scholars in the field of religion will now tell you—are actually dated to sixteenth century Europe. This is because even while the word “religion” existed in Latin before then, it meant something entirely different from what we mean when we use the word today. Cambridge historian of religion Peter Harrison has demonstrated that the original meaning of “religion” was not “belief” or “faith” or anything remotely like what we envision today. Instead, it actually meant something like inner piety, or sometimes worship (Harrison 2015: 8). According to arguably the most influential of all Christian thinkers, St. Thomas Aquinas, “religion” refers to interior acts of devotion and prayer, out of which more external behavior such as vows and tithes would follow. The interior component, he was sure, was primary (Deferrari et al 1948: 960). “Religion” wasn’t a belief proposition in the ancient sense: it was a virtue. One of the first instances of this change occurring with geopolitical impact is found in the Peace of Augsburg, a treaty signed in 1555 by the Holy Roman Empire and an alliance of Lutheran princes called the Schmalkaldic League. In the text of this treaty the two sides are not divided along geographical lines per se but rather between the “old religion” of Catholicism and the “Augsburg Confession” of Lutheranism; the document calls these groups religions—not territories, not alliances, not fiefdoms—but religions. This was the first time in history a treaty was signed explicitly between religious allegiances as opposed to political ones (Harrison 2015: 97-98). And it happened this way because the quality of inner piety that people had once sought increasingly came to be characterized by the specific ideas they had about how to go about it. Pious binding eventually developed into tribalistic belief. And tribalistic it really did become. As protestant Christian sects began multiplying and growing across Europe, war broke out left and right. At least ten million people died in what are known as the Wars of Religion during the sixteenth and seventeenth centuries. As dramatic as all this unfolding on the European continent was, the idea of religion as a universal and inherently human activity took another few hundred years to solidify. Up until the nineteenth century the concept of religion was not quite complete because religion in the eyes of Europeans was still confined to a reasonably similar set of beliefs and practices. Included in the idea of “religion” were only Abrahamic traditions: the various Protestant sects, the Catholic Church, Eastern Orthodox Christianity, Judaism, and “Mahometism.” Western scholars had no idea what to make of anything else. 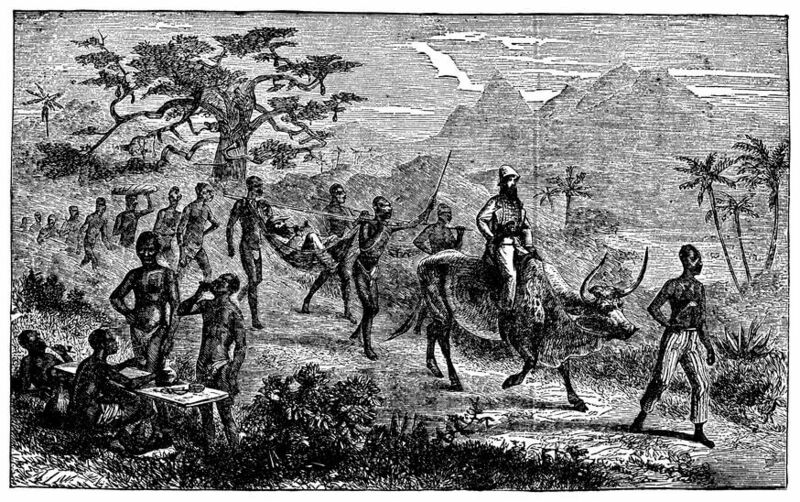 But scholars were eager to figure it all out, so a German writer and traveler named Peter Kolb documented all the ways in which the Hottentot culture appeared to be similar to Judaism. Among Hottentots there was “a sort of circumcision,” periods in which men withdrew from their wives, dietary restrictions, a lunar calendar, and women were excluded from cultural rites (1738: 30). This made them seem somewhat religious. But, said Kolb, the Hottentots remained crucially distinct from the Jews because they “had no memory of the children of Israel, of Moses, or the Law” (30). Were these people without religion, or Jewish, or part Jewish? The jury would remain out on that one—and on a multitude of similarly non-Abrahamic cultures—for a very long time. The verdict would come in during the eighteenth and nineteenth centuries as scholars began to consider the possibility that these strange people could also be called “religious,” if of an extremely different variety. But very importantly, there was no religion in the languages or ideas of the people thus encountered. Indeed, “religion” was a word and a category completely imposed on them by the West. The first recorded uses of the names of each of the Eastern religions occurred in English: “Boudhism” in 1801, “Hindooism” in 1829, “Taouism” in 1838, and “Confucianism” in 1862 (Harrison 2015: 101). In a very certain and real sense, Buddhism, Hindusim, Daoism, and Confucianism were invented by Western academics in the nineteenth century. These new names for religions words were not pulled out of thin air, of course: they were co-opted from various contexts within the native languages. “Hindoo” for example was a commonly used word in Southern Asia, but it referred to people and things from the Indus River Valley (Nongbri 2015: 110), not to the content of their metaphysical beliefs. It only became this once Westerners decided it should, as it aligned with their own religious, social, economic, and political interests. The thing about having a category such as religion is that once you define something—and if you are in a position of power—you can control it. Manipulate it. Bend it to your will. This is exactly what happened when Westerns brought the idea of religion to the rest of the world: they identified a culture’s “religion” and then proceeded to attempt to erase it and replace it with their own. Consider what happened to the Parsi people in India, for example. They had some ancient sacred writings but these were not central to their lives; a scholar of religion named Max Müller wrote of them that “[t]ill about five-and-twenty years ago [that is, about 1837], there was no book from which a Parsi of an inquiring mind could gather the principles of his religion.” But, in response to pressures from Christian missionaries, the Parsi people composed a “small Dialogue…a kind of Catechism, giving, in the form of questions and answers, the most important tenets of Parsiism” (1867-1875: 1.170-71). In essence, the Parsi people, under duress from Christian missionaries, undertook to define and codify principles of their “religions” in writing. What might the Parsi “religion” have looked like if it weren’t for Western expansion and colonialism? The culture, at least not at this time, would not have bifurcated itself into discrete parts. It wouldn’t have become legalistic in its treatment of beliefs and ideas. It wouldn’t have so valorized written texts. We can’t say for sure what it would have looked like, but we do know what did happen and how it changed the face of Parsi culture irrevocably. And this is just one example of so many in which Western expansionists made the world look the way they wanted it to. In essence, both colonial missionism and “world religions” were born at the exact same time. Ideas are never without power. In this case, the category of religion permeated the world, designated who was “in” and who was “out,” and forced cultures far and wide to codify belief systems in response to Western concepts. It is for this reason that Peter Harrison has called the development of world religions “the projection of Christian disunity onto the world” (1990: 174). None of “religion” developed because of a specific quality existing in the hearts, the minds, or the genes of humans. Religion is not a thing that exists outside our imaginations. Religion as we understand it today was imagined—in some ways very intentionally constructed—by powerful men no more than a few hundred years ago today. Might the category of religion still be useful in spite of its colonial origins? This is a common question people ask me when I tell them the idea of religion is kind of a sham. The flaw in this question however is its assumption that religion is a more accurate category today than it once was. But it isn’t. It’s still just very wrong. Let me demonstrate why by turning to an example of the modern discourse on religion. Sam Harris, a devout Atheist and critic of religion, has said that “[t]he danger of religious faith is that it allows otherwise normal human beings to reap the fruits of madness and consider them holy” (2005: 73). I agree with Harris that fundamentalism is problematic. I even agree with Harris that we shouldn’t universally respect all religious beliefs (2005: 15). But, like many of Harris’s opponents have pointed out countless times (e.g. ), irrational faith isn’t necessarily what “religion” entails. We might think that because people like Harris say it often enough, but it’s simply not if you look at the world of “religion” with even a shred of respect for complexity or nuance. What’s more, since we now know that the category of “religion” is a mere construction anyway, nothing is necessarily what religion entails. Not ritual, not faith, not gods, not allegiance to certain principles or texts, not dogmatism. Actually nothing. It is worth noting that of all the scholars who have studied and tried to define religion over the past two centuries, virtually none of them agree about what it is. Alfred North Whitehead thinks religion is what a person does with their own “solitariness” (1996: 15-16). Bronislaw Malinowski thinks religion remediates anxieties (1944). Ernest Becker says it’s an instinctive response to the fear of death (1973). Emile Durkheim prefers a more sociological definition of religion and says that religion is a public phenomenon that glorifies society (2012). Some says it’s power, like everything else (Schaefer 2015). Some take a more mainstream approach and say it has something to do with organizing around supernatural, or what Kevin Schilbrack calls “superempirical” beliefs (2010; 2013). Thousands upon thousands of scholars have studied religion without consensus. They have only very recently begun to wonder if the reason they can’t agree is because they’re barking up an impossible tree. I understand that as human beings we like neat categories and there is something satisfying about being able to say a certain person fits a category or not. Scholars of religion have been all about this since the field was invented. But there is a problem with trying to define something as amorphous as religion that extends beyond simple inaccuracy. When we categorize things, we automatically allocate value judgements to them. We prefer one or the other. We align ourselves with one or the other. We divide ourselves according to one or the other. And to reiterate—this is over something that isn’t actually definable in the first place. For a growing percentage of people in the world and especially American elites who value science and are wary of fundamentalism, religion is “bad.” What they actually mean to say is that unquestioning allegiance to doctrine is bad—but here is a very trenchant fact: unquestioning allegiance to any kind of doctrine is bad, whether it is a “religious” kind of doctrine or not. And it happens all over the world, in every person’s life, every day, religious or not, secular or not, republican or democrat, repeatedly, on-end, because this is something that’s very natural and easy for humans to do. But because the Harris crowd has unquestioningly embraced a very specific idea of what “religion” is, they are able to take very complex and diverse phenomena and call them all the same. They are also able to take problems that are caused by things other than belief—say, terrorism—and call them religious simply because they are juxtaposed or intertwined with belief. Geopolitical factors such as the hegemonic policies of the United States in Middle Eastern countries or the strife and zealotry that foment in times of stress are legitimate reasons terrorism has been so rampant in the world in recent decades and especially the Middle East. Blaming terrorism specifically on “religion” takes the spotlight away from problems that are legitimately, even drastically important in the fight to dismantle terrorism at its root cause: education, food shortages, poverty, employment. The academics who first began theorizing about the category of religion drew lines in the sand that have long since turned to concrete. There is very little middle ground; you’re either in religion or you’re out. It used to be a bad thing to be out, but it is increasingly problematic to be in. It is still true that the majority of Americans think you’re evil if you’re religion-less (generally speaking Americans find atheists and rapists equally distrustful), but a growing and very influential percentage of the rest think you’re evil if you’re not. This name-calling however looks extremely ridiculous to someone from the outside who knows that the category of religion is arbitrary and the types of things people consider distasteful about both religion and non-religion are found on both sides of the aisle. My favorite and one of the most important examples of traditionally “religious” qualities of human nature that actually belong to all of us is the fact that humans are susceptible to promises (there are others, such as holding sacred values or exhibiting favoritism towards your own group). Life is really hard. This means that if we encounter Gods or zealots or presidential candidates or anything powerful enough to promise us salvation in literally any sense of the term, we will fall for it hook, line, and sinker. There is even a large group of scholars engaged in what is called Utopian Studies who take this phenomenon as a foundational fact. Promises are roiling masses of power, and if human beings can be said to be compelled by anything, it’s a promise. Secularists such as Harris tend to think that they are above this sort of thing, but they aren’t. For Harris, the promise-maker is science. Harris’s 2009 book, The Moral Landscape: How Science can Determine Moral Values (2010) presents a textbook utopian vision, one that places near implacable faith in the power of science to save us—should we find the strength to bury religion once and for all—from our weaknesses, our limitations, our disasters, our political and moral dilemmas. Harris says he’s rational, and he is, more or less. But he is not particularly self-reflective about the ways in which he clings to the seemingly neat promises of the sciences, and how his desperate attachment to an orderly world engenders in him an irrational rage and a problematic approach to the issues of terrorism and fundamentalism that is not unlike a bull in a china shop. Here what both sides are trying to do is demonize the other based on the content of their beliefs—they think the metaphysics is what matters here. But if you step away from the category of religion and your chosen side what you see is a much more accurate picture: you see humanity in all of its susceptibility to promises. It doesn’t matter if Hitler’s followers were Christian or otherwise, if Hitler used religious symbols or otherwise. Among other things, perhaps most important of all was that Hitler promised salvation (sweetened with racial scapegoating), and every human who ever lived is susceptible to that sort of thing. Any decent scholar of religion well knows that it isn’t the gods that matter, it’s the power they have and the promises they make. The same kind of power can be found in a politician or rebel or zealous ideologue, and the same kind of compulsive obedience, what our culture often calls “religious” longing or hope, can be found anywhere. You don’t need a god for that. You only need promise. This is an extremely trenchant fact for today’s world. Humans are animals that long for salvation, and in being so are also susceptible to irrationality, in-group out-group behavior, self-interest, obsequiousness, and all the other failings of our kind. Basically, all of us act—or are at least highly prone to act—the ways in which secularists such as Harris think only religious people act. We must acknowledge this if we wish to eradicate the waves of fascism and terrorism crashing over the West and indeed all other forms of political insanity that loom dark and heavy over our horizons. We must acknowledge this if we wish to work with ourselves and one another to build a more harmonious world. In our efforts to achieve peace, we need to stop focusing so much on the content of religious beliefs and prioritise instead factors that are deeply, intractably relevant to progress such as justice, empathy, communication, empowerment, and political stability. We also need to stop seeing the non-religious as above the kinds of compulsions usually attributed to religion. Secularists are just as liable to be compelled by beliefs and by promises of salvation as religious people are, even if these salvations look different than 72 virgins in heaven or eternal bliss in the arms of God. Secular longings may look like dreams of total political correctness, the spread of science to every corner of the globe, or extreme egalitarianism—but they can still be damaging, as China well knows. And yet perhaps the greatest peril of the category of religion is not so much in the grandiose world problems as it is in how irrevocably polarizing it is on a day to day basis. Ask anyone whether they are religious and they’ll have an answer ready on their tongue, and a defense for that position, too. We fight over who is more evil, but we’re all the same. We might tend to find certain habits or attachments on different sides of this debate, but leaning into these generalizing tendencies will forever do us more harm than good. I will never consider dogmatism, attachment, obsequiousness, fervor, or the desire to be saved to belong to the world of “religion.” Nor shall I ever consider rationality, clear-thinking, or a properly scientific attitude to belong to the world of the non-religious. This is easy for me to do, since I don’t think in terms of “religious” or “not religious”—which is exactly my point. We have so polarized the West between those who are religious and those who are not that we simply fail to see how much we can have in common. Again we find a powerful example of what not to do in the work of Sam Harris. Harris believes that moderate religion should be scourged from the Earth because it makes room for religion in general, allowing fundamentalists a free pass (2005: 14-15). But people who identify with “moderate religion” could be some of his greatest allies in his fight against fundamentalist dogmatism. Saying someone is “religious” literally tells you nothing about the important things about them: their values, their personality, their intellect, their morality. The same of course goes for atheists. So why keep using the word? We shouldn’t. Since the category developed and was in a sense invented two hundred years ago, the word has spread to nearly every household on the planet. It is a very entrenched part of our globalized concepts and psyches. The word won’t go away, and it probably won’t change to my preferred concept anyway. So I will say this, instead: we should—we need to—do away with the category of religion and whatever toxicities attend it as best we can. Stop calling certain kinds of behavior or things “religious.” Refrain from using the term in our personal dialogue. Don’t make snap judgments. Check ourselves and one another when we categorize people based on how they identify. And perhaps most important of all, instead of inquiring as to whether a population or a person is religious or not, ask about what their most important values and beliefs are. This way we will both be able to understand ourselves in our deepest humanity more accurately, as well as forge alliances and connections we would not otherwise have been able to. That way we can be truly strong in the fights for reason, community, and peace. Abadie, Alberto. “Poverty, Political Freedom, and the Roots of Terrorism.” American Economic Review 96, no. 2 (May 2006): 50–56. https://doi.org/10.1257/000282806777211847. American Psychological Association. “Ingroup vs. Outgroup Influences in Brain and Behavior.” http://www.apa.org, May 2017. http://www.apa.org/pubs/highlights/peeps/issue-94.aspx. Angier, Natalie. “‘The End of Faith’: Against Toleration.” The New York Times, September 5, 2004, sec. Sunday Book Review. https://www.nytimes.com/2004/09/05/books/review/the-end-of-faith-against-toleration.html. Boyer, Pascal. Religion Explained : The Evolutionary Origins of Religious Thought. New York: Basic Books, 2001. Carson, Rachel. Silent Spring. Boston : Cambridge, Mass. : Houghton Mifflin ; Riverside Press, 1962. Caruso, Raul, and Evelina Gavrilova. “Youth Unemployment, Terrorism and Political Violence, Evidence from the Israeli/Palestinian Conflict.” Peace Economics, Peace Science and Public Policy 18, no. 2 (2012). https://doi.org/10.1515/1554-8597.1254. D’Aquili, Eugene G., and Andrew B. Newberg MD. The Mystical Mind: Probing the Biology of Religious Experience. First Edition edition. Minneapolis, MN: Augsburg Fortress, 1999. Deferrari, Roy J., and et al. A Lexicon of St. Thomas Aquinas. Baltimore: John Lucas Press, 1948. Durkheim, Émile. Elementary Forms of the Religious Life [Electronic Resource]. Dover Publications, 2012. Egan, Doris. “The Right Stuff.” House M.D. Fox, 2007. F. Max, Müller. Chips from a German Workshop. 4 vols. London: Longmans, Green, 1867. “Gervais et Al- Atheist Distrust.Pdf.” Accessed October 25, 2018. http://www2.psych.ubc.ca/~ara/Manuscripts/Gervais%20et%20al-%20Atheist%20Distrust.pdf. Glover, J. Humanity: A Moral History of the Twentieth Century. New Haven: Yale University Press, 1999. Harris, Sam. The End of Faith: Religion, Terror, and the Future of Reason. London: Free Press, 2004. ———. The Moral Landscape: How Science Can Determine Human Values. London: Bantam, 2010. Harrison, Peter. “Religion” and the Religions in the English Enlightenment. Cambridge: Cambridge University Press, 1990. ———. The Territories of Science and Religion. Chicago: The University of Chicago Press, 2015. Hedges, Chris. “Trump and the Christian Fascists.” Common Dreams, 2017. https://www.commondreams.org/views/2017/07/24/trump-and-christian-fascists. Kolb, Peter. The Present State of the Cape of Good Hope: Or, A Particular Account of the Several Nations of the Hottentots: Their Religion, Government, Law, Customs, Ceremonies, and Opinions: Their ARt of War, Profesions, Language, Genesis, &c. Translated by Mr. Medley. 2nd ed. London: W. Innys, 1738. Krueger, Alan B., and Jitka Malečková. “Education, Poverty and Terrorism: Is There a Causal Connection?” Journal of Economic Perspectives 17, no. 4 (December 2003): 119–44. https://doi.org/10.1257/089533003772034925. Locke, John. A Letter Concerning Toleration: Humbly Submitted &c. Translated by William Popple. London: Printed for Awnsham Churchill, 1689. Malinowski, Bronislaw. A Scientific Theory of Culture,. Chapel Hill: The University of North Carolina Press, 1944. McGrath, Alister, and Joanna Collicutt McGrath. The Dawkins Delusion? : Atheist Fundamentalism and the Denial of the Divine. First Edition edition. London: SPCK Publishing, 2007. Nasser, Moza Bint. “Why Protecting Education Would Prevent Terrorism.” Time, April 2018. http://time.com/5255041/education-terrorism-syria-boko-haram-extremism/. Nett, Katharina, and Lukas Rüttinger. “Insurgency, Terrorism, and Organised Crime in a Warming Climate: Analysing the Links Between Climate Change and Non-State Armed Groups.” Berlin: Adelphi, 2016. Nongbri, Brent. Before Religion: A History of a Modern Concept. New Haven, CT; London: Yale University Press, 2013. “Pope’s Atheism Remarks Spark Row,” September 16, 2010, sec. UK. https://www.bbc.com/news/uk-11332515. Pyysiäinen, Ilkka. “The Cognitive Science of Religion.” In Evolution, Religion, and Cognitive Science: Critical and Constructive Essays, edited by Fraser Watts and Léon P. Turner. Oxford: Oxford University Press, 2014. http://www.oxfordscholarship.com/view/10.1093/acprof:oso/9780199688081.001.0001/acprof-9780199688081-chapter-2. Rose, Frank. “Opinion | Don’t Mess With My ‘Sacred Values.’” The New York Times, November 16, 2013, sec. Opinion. https://www.nytimes.com/2013/11/17/opinion/sunday/dont-mess-with-my-sacred-values.html. Ross, Jeffrey Ian, and Jeffrey Ian Ross. “Structural Causes of Oppositional Political Terrorism: Towards a Causal Model.” Journal of Peace Research, 1993. Rue, Loyal D. Nature Is Enough [Electronic Resource]: Religious Naturalism and the Meaning of Life. Ebook Central. Albany: State University of New York Press, 2011. https://ezproxy-prd.bodleian.ox.ac.uk/login?url=http://ebookcentral.proquest.com/lib/oxford/detail.action?docID=3407245. Samuel, Sigal. “Atheists Are Sometimes More Religious Than Christians.” The Atlantic, May 31, 2018. https://www.theatlantic.com/international/archive/2018/05/american-atheists-religious-european-christians/560936/. Schilbrack, Kevin. “Religions: Are There Any?” Journal of the American Academy of Religion 78, no. 4 (2010): 1112–1138. https://doi.org/10.1093/jaarel/lfq086. ———. “What Isn’t Religion?” Journal of Religion 93, no. 3 (2013): 291–318. https://doi.org/10.1086/670276. “The Insane Amount of Biodiversity in One Cubic Foot.” Smithsonian. Accessed November 14, 2018. https://www.smithsonianmag.com/science-nature/the-insane-amount-of-biodiversity-in-one-cubic-foot-149041976/. Villarica, Hans. “Study of the Day: Religious People Distrust Atheists as Much as Rapists.” The Atlantic, December 19, 2011. https://www.theatlantic.com/health/archive/2011/12/study-of-the-day-religious-people-distrust-atheists-as-much-as-rapists/250005/. Whitehead, Alfred North. Religion in the Making. New York: Fordham University Press, 1996. Wilson, David Sloan. Darwin’s Cathedral : Evolution, Religion, and the Nature of Society. Chicago: University of Chicago Press, 2002.